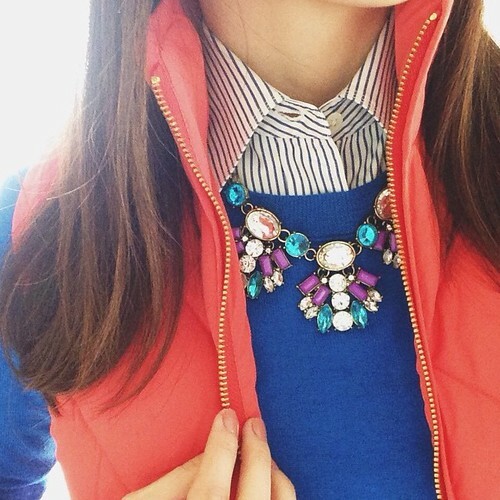 Keeping it colorful yet cozy (exact: vest, sweater, shirt / sim: necklace). 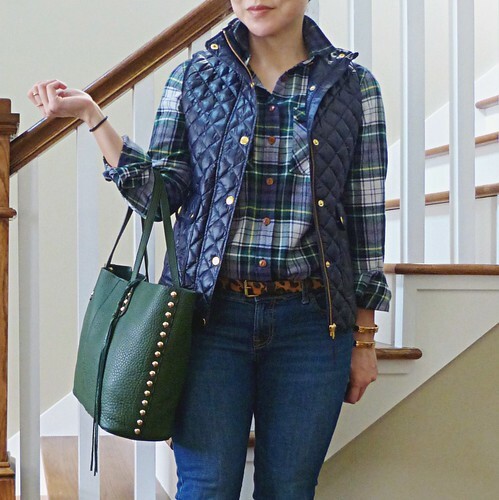 Cold weather uniform (exact: tote bag / sim: vest, shirt, belt). 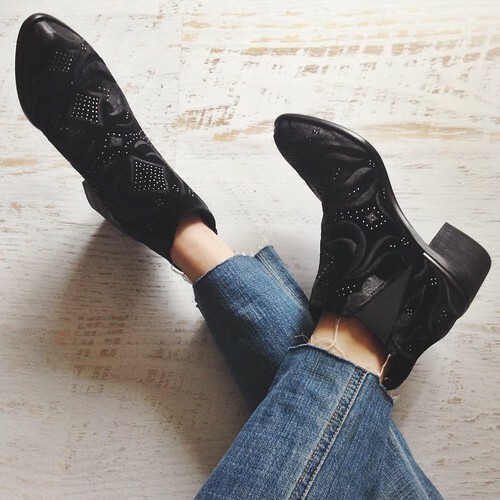 Those make-me-feel-cooler-than-I-am boots (exact: boots). 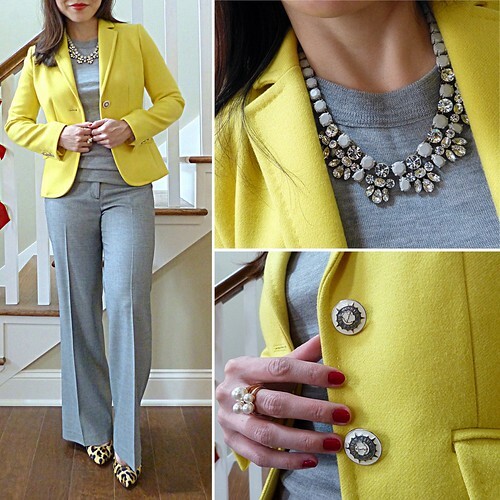 I can't seem to stop pairing this blazer with grey (exact: sweater / sim: blazer, trousers, necklace). 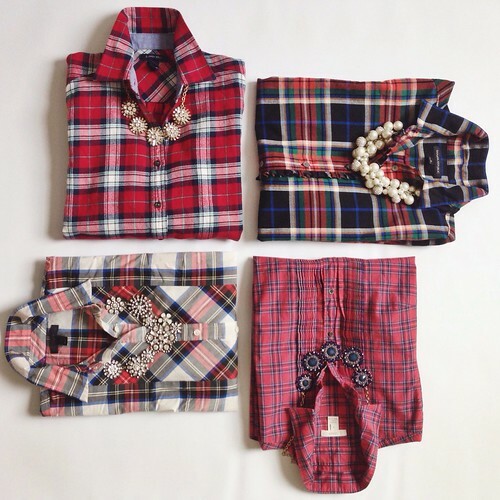 Plaid tidings to everyone! (shirts clockwise from top left: sim, sim, sim, exact). 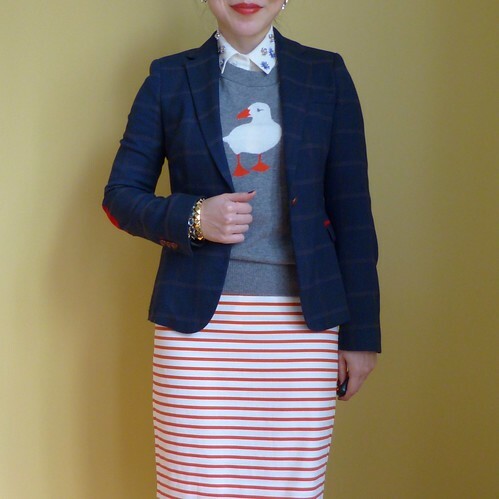 I'm with the bird (sim: sweater, blazer, skirt). The yellow and gray looks terrific on you! It's a classic combination but it looks so fresh and current. I will be inspired by your color combinations when I am putting together outfits next week. Thanks so much - I agree, yellow and grey look fab together!